You must sign up as a provider and notify your patients of your availability to see them via Housecall. The patient can then make appointments with you through the scheduling portion of the app. A provider can also manage appointments through the web scheduling portal at http://www.iHeartDoc.com/Housecall. This web portal does not contain the video conferencing portion of the app, just the scheduling portion. It allows for your medical staff to help manage Housecall appointments much like any appointment is handled in your office. How do I bill for my services? Housecall is covered by a growing list of private insurers but you must check with your local carrier as coverage varies widely from state to state. It is not currently covered through Medicare. Medicaid coverage varies from state to state as well. In situations where coverage is not provided you can bill the patient directly provided you notify them before providing the service. For Medicare patients you must have a signed Advance Beneficiary Notice prior to providing services to bill the patient directly for non-Medicare covered services. Credit card and insurance data is available through the app if the patient has filled out that data in their profile. No billing is done through the app. You must bill the insurance or credit card as you usually do. How do I document the visit? Is there an EMR in the app? No EMR or documentation is done through the app. You use your existing EMR or dictate a note to document the visit just as you would during an in-office visit. The ability to archive the videoconference is not currently available but will be available in an upcoming version. The wellness and health data from Jawbone or Withings can be screen captured and printed if necessary. What health and wellness services are currently supported? Withings is supported as well as Jawbone. Withings makes wireless scales as well as wired and wireless BP cuffs. Their Pulse activity monitor is not currently supported but we plan to support it in the future. Jawbone’s UP band is currently supported and provides exercise data, sleep data, and dietary data in graphic form. Any app on the patient’s iPhone can be captured via a screen shot and sent to the provider for review. This gives some support within the app for a wide variety of health uses and connected apps. What is the cost of the app for a provider? The app services are free for the first 30 days for a patient or provider after initial app purchase. At 30 days, a provider must purchase addition time on the app to continue their use. Current cost is $9.99 per month via an in-app purchase. Discounts are available for longer range purchases up to a year of app time for $99.99 per year. Patient use is free. How do most providers use the app? Most providers use the app in the same manner as a regular office appointment. The visit can be scheduled on an iPad or iPhone that can be used to conference with the patient privately in their office or an exam room. The provider can make notes in the EMR or chart during the visit. At the conclusion of the visit a nurse can arrange follow up visits via the app prior to the conclusion of the teleconference. Many providers have used the app for short visits after previous procedures or testing. It can also be used for rapid follow up of ill patients recently hospitalized to prevent readmission to the hospital. What kind of connection is required to use the app? The app is capable of working on a cellular connection alone but the video quality can suffer from a noticeable lag with a poor non-4G signal. It does perform well on a reliable 4G cellular connection. For optimal quality, a good WiFi signal is preferable. Housecall is FREE for two more days. 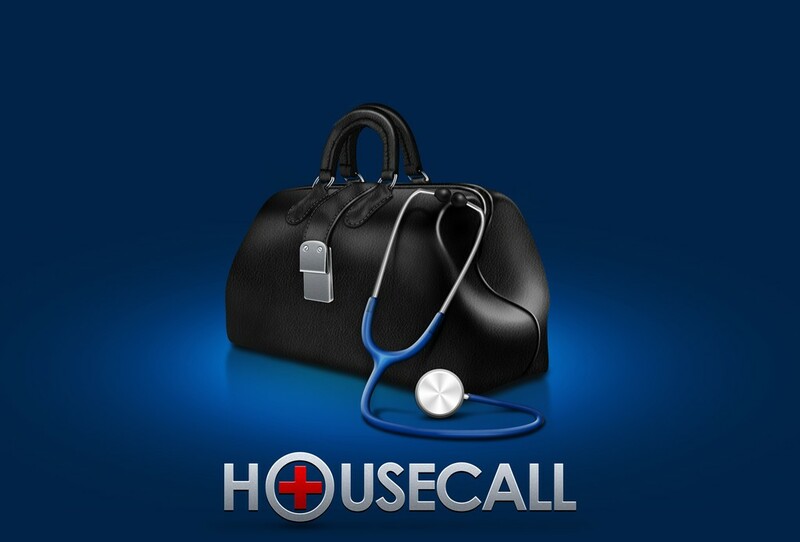 iHeartDoc’s Housecall app is free for two more days! Why do I have to enter private information like my social security number and credit card information into my profile? Private information is used by the provider to verify identity in the case of the social security information, and for billing purposes in the case of credit card information. You can share this with your provider online during your visit and just enter “1s” for the social security number. This will not be a required field in an upcoming version. Data entered into Housecall is encrypted and stored on a secured cloud server. The video, audio, and data stream between you and your provider is an encrypted one to one session that requires authentication of an encrypted secret code in the background between the two parties to share data in a session. Any intercept of that data would not have the shared code and thus would not be a party to the shared stream. No security breeches have been reported using this secure format. Can I try Housecall without entering profile data? Yes, we have set up a trial account so you can get a feel for how Housecall works. Use the username “Patient” and the password “patient” to log on to our trial account and explore Housecall before you ever spend your time entering your data into your profile. This account will not be useful for an actual provider visit however. How do I find my doctor in Housecall? We are rapidly adding providers to Housecall. Search the provider listing by name or search to find providers near you by pressing the location key in the upper right of the provider search screen and giving Housecall the right to use location services on your device. At present we are seeking providers to use Housecall for their patients. If your doctor is not yet using Housecall, on your next office visit take a picture of his or her business card with your device and send it to us at Provider@iheartdoc.com. We will get in touch with them to let them know patients are interested in interacting with them via Housecall. Let your provider know that you are interested in seeing them via Housecall! They can email us at Provider@iHeartDoc.com and we will be glad to get them set up on Housecall. How do I add a picture to send to my provider? When you click “appointment” to make an appointment with a provider, you are taken to the screen that allows you to make an appointment on a certain date or time, send lifestyle data or send a picture to share with your provider. To share a picture you must click the picture icon on the middle, far right of the appointment screen. You are then taken to the picture gallery. You can add a picture to the gallery by tapping the upper right “add” icon. You are given the choice of importing a existing picture from your photo library or taking a new picture with your camera. Once you take or choose a photo, it is added to the gallery. You can add multiple photos to the gallery and send multiple photos to your provider for review. You must then tap the bottom left of each photo to choose it putting a “check” in the bottom left box and hit “send” at the bottom of the screen. You are then taken back to the appointment screen. To finalize your appointment hit “schedule” to complete the process. Your provider will then be able to review any photo prior to, or during your Housecall appointment. How do I send data from my Withings scale, BP cuff, or Jawbone Up band to my provider? You must first add any connected devices to your profile account by giving your username and password for your Withings or Jawbone account in that section of your profile. Before you exit your profile screen, you must save it by tapping the disk icon at the upper right of the screen. You can test to see if it works by going to the “wellness” section and seeing if your data is imported. To send your wellness data to your provider for review, just click the apple wellness icon in the appointment screen when making a provider appointment. Save the wellness data for your provider by clicking the “save” icon at the upper right. You are taken back to the appointment screen to complete the appointment by hitting the “schedule” button. Your provider will then be able to review any wellness data prior to, or during your Housecall appointment. I have wellness data in an app that Housecall doesn’t yet support, or health data that I keep in a note on my device. How can I send that data to my provider? You can send data from your iOS device from any app or program by taking a screenshot of the data. To do this you must bring up the data screen you wish to share with your provider. With the data onscreen, press and hold the large button at the bottom of your device while then pressing and releasing the power button at the top of the device. You should have heard the sound of a camera taking a picture. You just took a screenshot of your device. Share that like you would share any picture from your photo album with your provider. Your screen shot is located in your camera roll. This gives Housecall the ability to share data from any program with your provider. Apps like iHeartDoc’s Housecall can make a difference! Insurance coverage for telemedicine empowers the patient to use their smartphone to collect their own data and share it with their healthcare provider. This is the future of medicine. With $245B spent on diabetes, telemedicine looks to cut the cost. Housecall App is FREE for a week! iHeartDoc’s Housecall is free for a week starting April 19th. Go to the Apple iTunes page at https://itunes.apple.com/us/app/housecall-telemedicine-your/id677557566?mt=8 to download the app. Give it a try as both the provider and patient by using Patient as the username and password and Provider as the username and password on each of two devices. You can get an appreciation of both sides of the app as both a provider and a patient. A fantastic review of the challenge of telemedicine today. 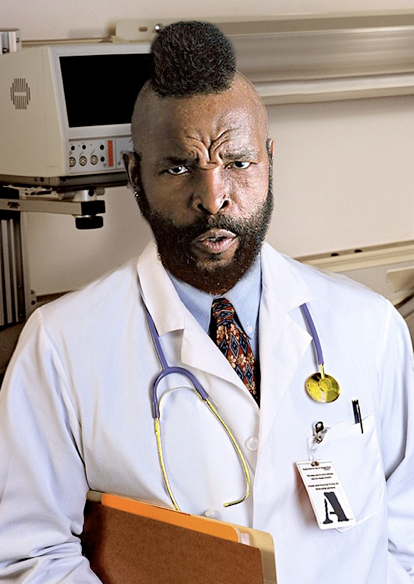 The Doctor Will See You Onscreen : The New Yorker. Policymakers are also warming to telemedicine. Medicare, which previously only paid for telemedicine in rural locations, <href=”#.uxkamf5rx4w”>extended its coverage this year to “the fringes of metropolitan areas,” according to the American Telemedicine Association. The number of states making telemedicine coverage mandatory for private insurance plans has also grown—from five in 2000 and twelve in 2011 to nineteen as of early March.